participants, hope does indeed live here. Band played at the head of the Survivors and Carers Walk. Waiting for the relay to get under way. Legislative Councillor Craig Farrell introduces the guest speakers. 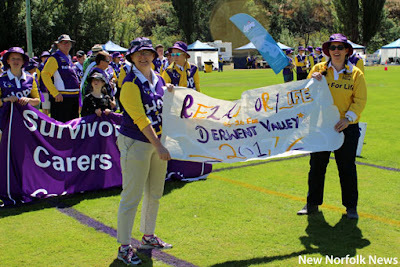 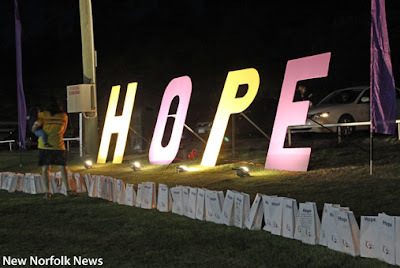 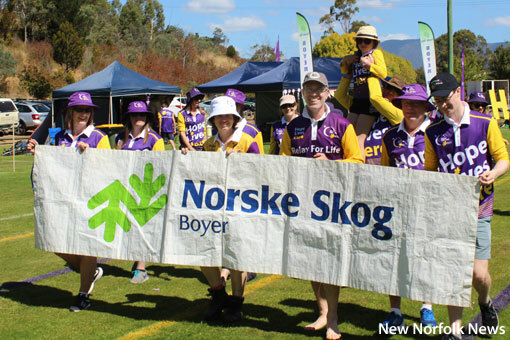 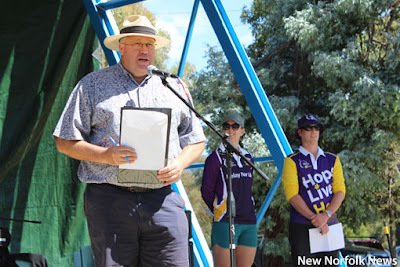 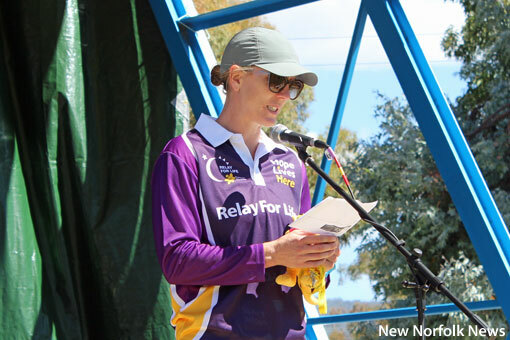 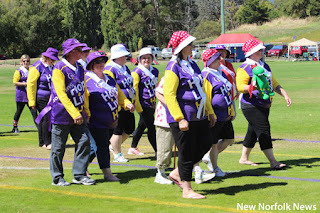 Derwent Valley Relay for Life ambassador Kerry Hore. The Cancer Council's mascot in front of the Survivors and Carers Walk. 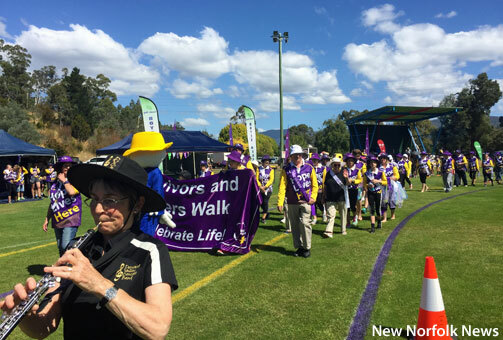 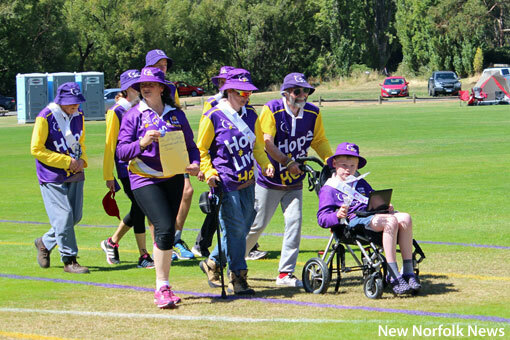 Cancer survivors and carers make the first lap of the Tynwald Park oval. 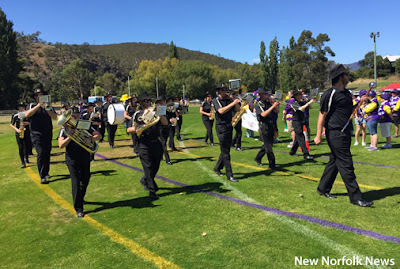 The Derwent Valley Concert Band on parade. 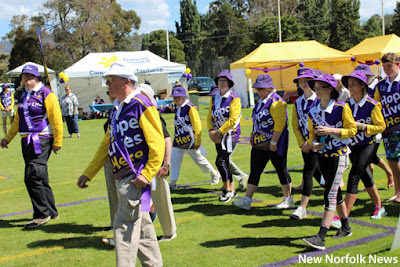 Some of the walkers in the Survivors and Carers lap of honour. 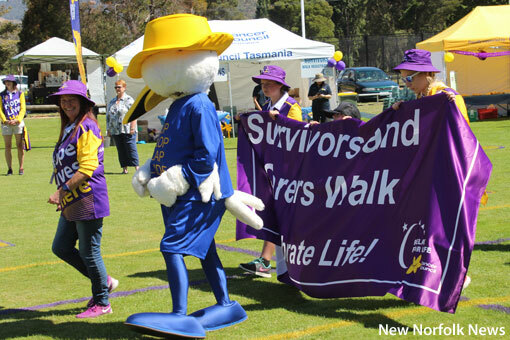 Another group of Survivors and Carers.